Liverpool must win the Europa League to secure European football next season after a draw at West Brom on the final day. Sam Field replaces James McClean for a late cameo for West Brom. Salomon Rondon has had enough chances to win this game. The West Brom striker gets another sight of goal from inside the box, but his effort is all power and no placement, thundering into the midriff of team-mate Tyler Roberts just in front of him. Liverpool make their third and final change as Sergi Canos - who has spent most of this season on loan at Brentford - replaces Sheyi Ojo. Tyler Roberts - fresh meat off the bench - is eager to impress. After a heavy touch in midfield, he lunges in to try and regain the ball and only succeeds in sending Jordan Henderson skidding to the floor. His name is taken by the referee. Jordan Henderson asks the question of referee Bobby Madley. The Liverpool substitute felt he was being held as he tried to get on the end of a deep cross. It was a very ambitious claim though and Madley waves him away. That is the end of a very impressive display by 17-year-old Jonathan Leko. The West Brom winger is replaced by another teenager - Tyler Roberts. This game has finally got into gear after an hour idling. Christian Benteke does his target man thing, holding the ball up in the box. He has support, but his lay-off is cut out by a West Brom foot just before Brad Smith can let fly. Time seems to stand still as the ball drops to the feet of West Brom's striker eight yards out. He catches his low shot cleanly, but the ball skims just wide. Liverpool have thrown on both their comeback kids. Danny Ings - out since October - replaces Jordon Ibe to make his first appearance for Jurgen Klopp, while captain Jordan Henderson is on place of Joe Allen to try and press his Euro 2016 case. 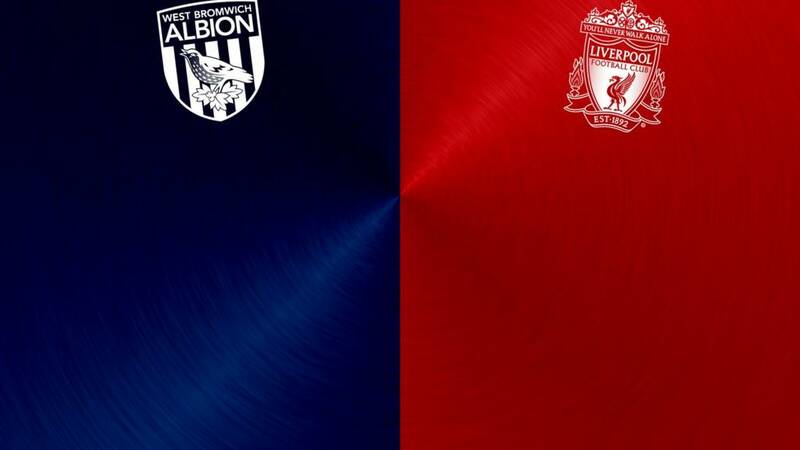 West Brom are starting to press Liverpool back. Darren Fletcher's deep free-kick picks out James McClean at the far post, but his knock-down can't find a fellow Baggie. The Hawthorns holds its breath, but it is groans rather than cheers when the home fans finally exhale. The sparky Jonathan Leko leaves two defenders in knots before poking the ball to Craig Dawson out on the left. His first-time cross is only a whisker away from the forehead of Salomon Rondon. Liverpool winger Sheyi Ojo wallops a shot well over the top from the left hand edge of the penalty area when Christian Benteke was on the move in the hope of a cross. West Brom have been forced into a little rejig at the back by Jonas Olsson's departure. Tony Pulis' policy of packing the back four with centre-back means there are plenty of candidates to fill the gap though. Jonnny Evans steps into the middle with James Chester going to the left side of defence. Salomon Rondon with a gloriously deft glance at the near post beat Adam Bogdan all ends up. The ball thumps of the inside of the far post, bounces back through the six-yard box to Rondon, but the Venezuelan can't sort his feet in time and clumps his shot over the top. James Chester is on for West Brom in place of Jonas Olsson. And we are back up and running with the second half. 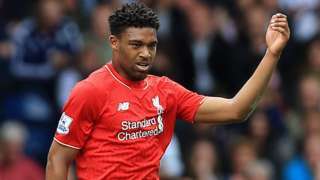 Stacy Phillips: What a run from Jordon Ibe!! Reward of his first Premier League goal for his hard work this season. David Simpson: Can't believe that's Ibe's first premier league goal. What a first goal to get. Beats half the team. Stick on a video, lessons outside, ice lollies all round. This is very much end-of-term stuff. But there have been two cracking goals - the first created by Jonathan Leko, the second scored by Jordon Ibe - through some less-than-robust tackling. James McClean is a little too tigerish as he chases Jon Flanagan back towards the corner flag. He picks up the game's second yellow card. A decision he disagrees with entirely.